§ 31 Responses to The greatest masters racing team of all time? You’re missing the point, did they ride full Carbon with carbon, otherwise how can you take them seriously?!? They rode full aluminum before there was full carbon, then full carbon with carbon. ……..and then there was his dog Spot……. RGW used to office in our little building here in Dallas. I remember their race reports. They were epic before epic became bespoke. Has slowed down in retirement, though. Thank you for helping me find my way to this link. Subscription just paid for itself. Again. Pure gold. Yeah their kits look like poop, but Captain America looks pretty spiffy! They were spiffy like old toilet paper stuck to your heel or lower lip is spiffy. There was a time, in their garish costumes, ski-goggles and helmets, when bike racers looked like renaissance faire attendees. Actually it’s still that time. Amen! I was so frustrated by these guys at first, but I gradually learned I was living the $12K dream and they were my wake-up call. If I couldn’t compete with a bunch of 35+ guys with real jobs, maybe it was just time to get a real job. Thank you Labor! Helping cycling addicts through reality therapy! There wasn’t? I mentioned Chris “the bloated ego” Hahn, didn’t I? Scott Walker wants to shut them down, even now. He feels their name incites unionization. Unions. ISIS. Astana. It all fits together! Thank dog for that trust account! ‘Cuz there ain’t no money like daddy’s money! Team Labor Power slouches around Labor Mobile, a retrofitted 1982 Dodge Colt, preparing for battle in Vista, California. I’m tellin’ ya, everyone since has just been sniffing at the jockstrap. Even the trust fund baby. 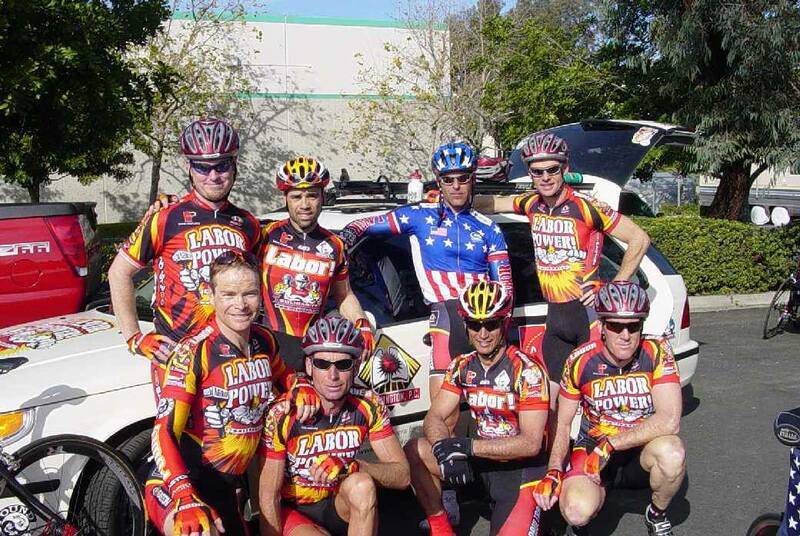 Labor would fly in for Lance’s 6th St. crits and we were all the poorer and more miserable for it. Preach on hylla…uh oh…sounds like the bitter scorned former race-day girlfriend/DW/lover of some lackluster bike-gamer who is somehow associated with a commenter. He’s been drinking very bitter beer. Thanks for reaching out. It is a strange and convoluted way of calling attention to your plight, but at the same time it’s funny and perverse and most definitely fits the hereditary pattern. I’ve heard that you’ve gotten a handle on the addiction and are progressing, and that’s a great thing no matter how angry your commentary, no matter how fierce your rage at people like me who aren’t (I don’t think) bothering you at all. I’ve had my own battles in the addiction department and they’re no fun; hats off to you for getting a handle on it sooner rather than later. Pro tip: Your rage at my blog isn’t resolving the real conflict inside you. Divorce is awful and living underneath a dominating, successful parent is a huge burden. On the other hand, those parental traits have created wealth that has allowed your parent to give you luxuries that the other 99.999% will never have, and have given you second and third and fourth chances in life when others would be dead in the gutter by now, or in prison simply because their parents don’t have the money to buy them a second bite at the apple. It’s okay to be angry, but it’s also okay to ask yourself where you’d be if you hadn’t had every benefit, been given every advantage. It might balance out the rage just a little. And when you say “you’re all self righteous scums,” of course you’re including the very person who pays for the roof over your head, the food in your belly, the tuition at your school, and who donated half the genes swirling around in your corporeal soup. So I guess that makes you half a low life self righteous scum, at best. Welcome to the club. You are currently reading The greatest masters racing team of all time? at Cycling in the South Bay.